Pines at 4 O’Clock sub are a mix of Breckenridge townhomes and homes in Breckenridge Real Estate. There are 34 total properties, 25 townhomes, 7 built homes and 2 vacant lots in Pines at 4 O’Clock. 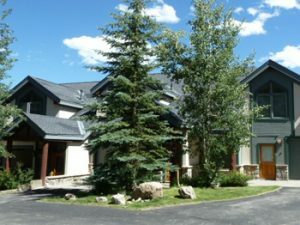 The Pines at 4 O’Clock townhomes are true ski in ski out properties in Breckenridge via 4 O’Clock Run off of Peak 8. The townhomes are 3 and 4 bedrooms built between 1994 – 1996 ranging in size from 2,100 – 2,600 square feet. Each townhome sits on 0.05 – 0.26 acres. Many of the townhomes have private hot tubs as well. Located off of Ski Hill Road and Grandview Drive, Pines at 4 O’Clock is in an ideal yet quiet subdivision in Breckenridge Colorado Real Estate. When you purchase a property in the Town of Breckenridge there is a 1% transfer tax, that would apply to any purchase in Pines at 4 O’Clock. Whether you are looking for a ski in ski out Breckenridge townhome or home, Pines at 4 O’Clock are a must see. For additional information about Pines at 4 O’Clock properties, previous sales data and more, call Justin or Krystal Knott at 970.333.9050.